If a book could at once be chilling and cosy, that is how I would describe The Ghost Stories of Edith Wharton. The settings of these tales will be familiar to Wharton’s readers: old New York, rambling country estates, wintry New England, and the Europe of American expats. Moody and atmospheric, each story quickly drew me in, and I felt that wonderful, familiar pleasure in reading Wharton. But very soon, things begin to go off. Wharton evokes the mysterious and supernatural. As she does to her characters, Wharton keeps the reader guessing about what is actually going on. These stories reminded me very much of Henry James’s The Turn of the Screw. Ironically, this ambiguity gives the stories a realistic, firsthand quality. You get that same tingle that you would when sitting around a campfire in the woods. Except in Wharton’s version, it’s a dwindling fire in the dark library of a “damp Gothic villa.” Wharton sets one of these villas in Irvington, New York—named for Washington Irving (famed for “The Legend of Sleepy Hollow”). Wharton was also a great fan of Edgar Allen Poe. In the book’s introduction, British crime writer David Stuart Davies explains that Wharton was at once terrified of and fascinated by ghost stories. She has achieved just that! This would be perfect pick for a gift for Neil Gaiman’s #AllHallowsRead or as a scary read for the Halloween meme #Mx3 at Jenn’s Bookshelves. NOTE: There are several collections of Wharton’s ghost stories. I chose the Wordsworth Edition (paperback; published 2009; ISBN: 9781840221640) as it had the most stories. I also really enjoyed the forward by Davies. The Wandering Falcon arrived, a delicate gem of a book, like a small box of sand. Tempting, but I approached it thinking it would be one of those books that I would learn a lot from but did not expect it to be a page turner. What a wonderful surprise to find myself hooked! Usually I am suspicious of the ‘novel in short stories’ concept as just a marketing ploy, but these vignettes are gracefully braided together. There is a narrative arc that binds them chronologically and geographically, as the stories move from the southern desert where Pakistan borders Iran and Afghanistan up to the mountainous northern frontier above Peshawar. The setting is the post-colonial era of the 1950s, after the British had pulled out. Tor Baz, the title character named the ‘black falcon’, meanders through the stories as leitmotif. I really liked that. With each story, it was a fun little game trying to work out which character he was. I’m holding back on specifics about the many plot threads, because they won’t sound as good as the book reads. But, it’s a bit like James Michener‘s approach, in which different players, storylines, and cultures overlap and play out in a region. After I tweeted how much I liked The Wandering Falcon, they put me on Facebook. The Wandering Falcon is small, quiet book, but leaves you satisfied like an epic. 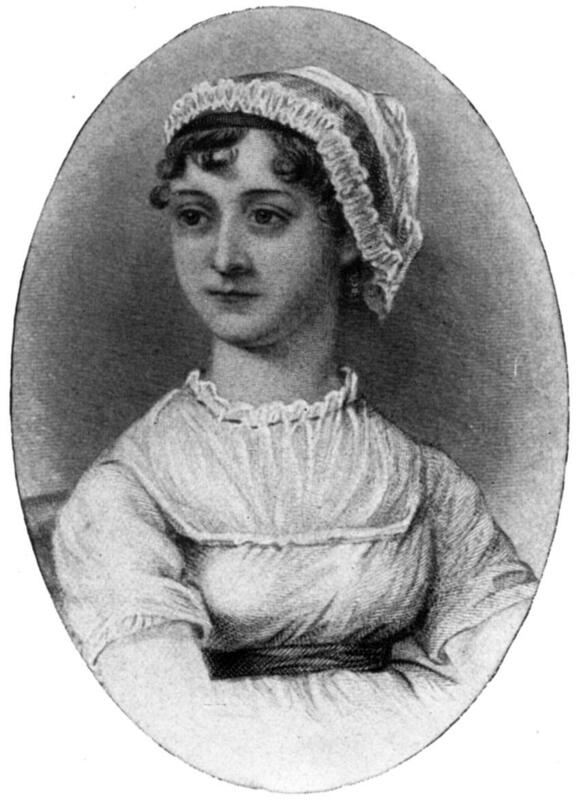 Today, December 16, is the birthday of Jane Austen. This year also marks the 200th anniversary of the publication of Austen’s first novel, Sense and Sensibility. Though a classic, S & S has somewhat permeated the pop culture, as have all of Austen’s novels. Just like there are Trekkies and fanboys, there is a group of discriminating and elevated bibliophiles (ok pretty much every woman who reads) that are dedicated to all things Austen: the Janeites. Some scholars look askance at Janeitism, which Princeton professor Claudia Johnson derides as “the self-consciously idolatrous enthusiasm for ‘Jane’ and every detail relative to her.” But, as someone who has reread all of Austen’s novels several times (yes, even Mansfield Park), I do understand this fervor and frustration at the finite amount of Jane. 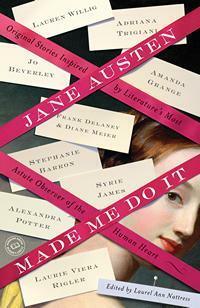 Jane Austen Made Me Do It, ed by by Laurel Ann Nattress is an outstanding collection of short stories by writers who have decided to take the lack of Austen into their own hands. Also, Death Comes to Pemberley, by the inimitable PD James. The mystery maven offers a paean to Austen’s characters and writing style, but still imbues the novel with her trademark atmospheric suspense. I will follow up with blogs about each of these, but both are wonderfully satisfying. Finally, must give a shout-out to Advent with Austen, in which a lovely group of Janeites are reading and blogging about Jane all month. They also have a twitter feed: #AWAusten. If you haven’t read Sense and Sensibility (seriously, you need to) then you can join in their group read. So happy birthday to Jane and happy holidays to all the Janeites out there! Both these stories left me aching and unsettled, marveling at what could be done with so few words. Each is spooky, not in the traditional sense, but visceral and devastating. Perfect reads for this week leading up to Halloween. Beautiful may seem an odd word to use, but this is a beautiful, alluring ghost story that stayed with me. Alan Heathcock’s short story collection, VOLT, is available now in bookstores. This deft mercurial story at once had my heart racing and my emotions twinging. Eugene Cross has a short story collection, Fires of Our Choosing, forthcoming from DZANC Books in March of 2012.